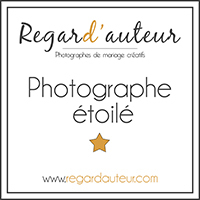 Wedding photographer in Paris ..
Magic Flight Studio primary focus is on to deliver high quality for wedding photography in Paris and everywhere on assignment, beautiful wedding book and high value customer service to our client. Because your satisfaction is our daily target we put emphasis on relationship and preparation of your big day. We specialize in Wedding Photojournalism, Natural and Candid Bridal Images, Documentary photography. Our style of photography is very photojournalistic and candid with no limitation to be amazed. 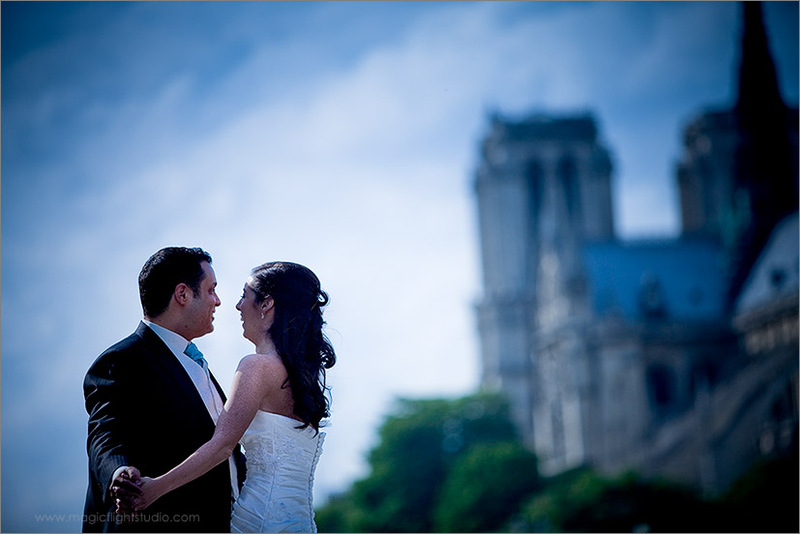 As a wedding day photographs, we truly capture the emotion of the day in a unobtrusive manner. Each wedding is approached differently, and we work always with the bride to achieve photographs that she will treasure years after years. By blending a unique approach of fashion photography, life style and photojournalistic wedding photography, we are able to capture dynamic images of your wedding that help convey the true memories and feelings of your wedding day. We can assume you come in Paris to feel the romantic flavor of the city, above your expectation for incredible pictures; we will take a walk along the Seine, in the very old Town, in different places during the day or by night. 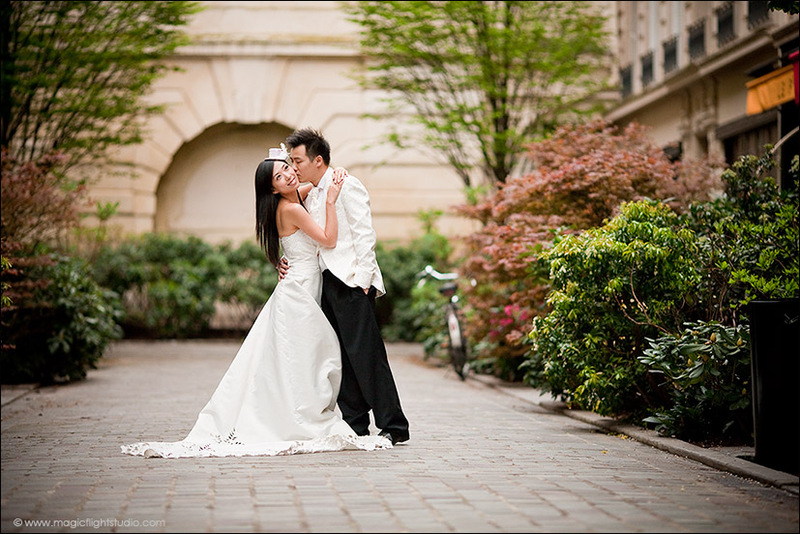 Our satisfaction is to go in original place, either for a wedding day or for a pre wedding shooting session. After return at home, we want you say “yes we have done “waow” pictures, but the places where we went was so nice and so Paris- Paris”. Globally, we do not want just to make what you planned, what you imagined, we want to make more, we want to give more, we want to go above your expectation. Paris is full of wonderful surprises you cannot imagine, i can tell you different stories about a gift for a bride given by the manager of a nice gallery and shop « Place des Vosges », about a standing ovation for the bride around 5.30 am with a lot of client in a « café » close to « Champs Elysées » before a shooting session on « Alexandre III » bridge, about the crowd and the painter applausing the bride was (french) kissing his groom in Montmarte, about a nice little girl willing to kiss the princess…yes, definitively Paris is full of wonderful surprises you cannot imagine nowhere. Some photos captured in Paris just underneath.